I almost posted this last week, when it would have been more relevant, but whatever. 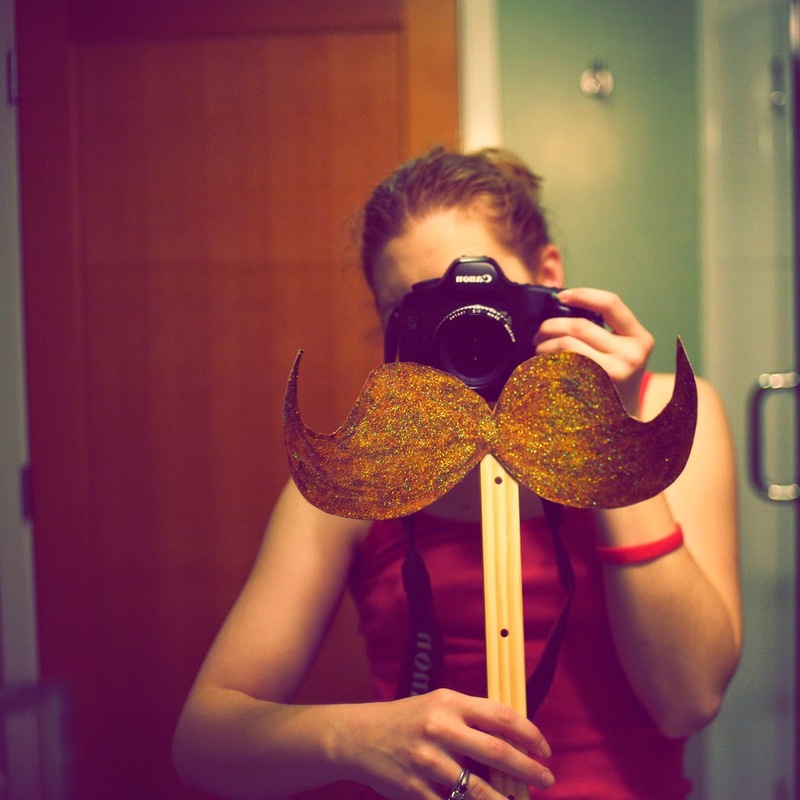 Remember the time I wanted to "make fun of hipsters" so I did my only DIY project pretty much ever and made a giant sparkly mustache and glued it to a ruler and walked around Coachella with it for 4 days? Looking back on it now, I was actually engaging in hipster behavior, not making fun of hipsters. Oh well. I guess it's been 5 years since then (how is that even possible?! ), and time brings wisdom. This is still the coolest DIY project I've ever done. I am not a crafty person. And since then I've kept a large amount of glitter glue around. The back of this mustache now contains the autographs of We Are Scientists, too.